My call: Liverpool could hardly ask for a better match-up to bounce back from the disappointment of the draw in Lyon last Wednesday. They played very well in France (bar the first ten minutes) and should have won. When Rafa really needs a result, he often gets it, and with Birmingham unlikely to pose much of an attacking threat, I can’t see any other result tonight than a comfy home win (which I have bet on, full-bore). 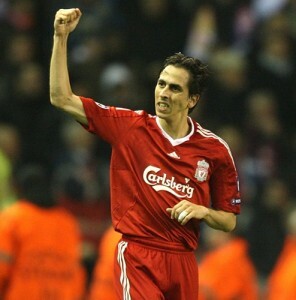 I’m also going to stick my neck right out and predict goals by Yossi Benayoun, Lucas (!!) and David Ngog. Ouch. That’s not going to help much now, is it? Again your heart sinks in despair for the smaller club when a somewhat dubious decision by the ref is given in favour to the bigger club and results in a penalty been given. There is no doubt that Carsley did not even touch Ngog. It’s a sad state of interaction when players may as well take up swimming than to play an honest game of football. The refs judgment is shocking in this case and completely wrong but he just goes with what he sees- obviously not that much. Liverpool were the stronger side the first half but that seemed to fade away in the second. Birmingham’s set piece was top notch to set up Benitez and the cracker by Jerome; you just can’t get much better than that from 30 odd yards out, brilliant. Okay the pressure was applied by Liverpool in the final minutes but Birmingham held on. Whether or not Liverpool deserved the draw with their over-all performance is debatable but to get it the way they did is shameful. As for Birmingham they can go away – yes gutted and robbed but at least with their heads held high in going to Anfield and getting the draw. Can Liverpool do the same – not a chance! I don care who wins. Try not to show that ugly mug of Benayoun around in future. It is too hideous to look at.